10 Curly Hairstyles That Makes You Beautiful..! 10 Half up Half down Hairstyles Which Gives You Stunning Look…! 10 Ponytail Tutorials For You…! 10 Updo Hairstyles Which Gives You Perfect Look…! 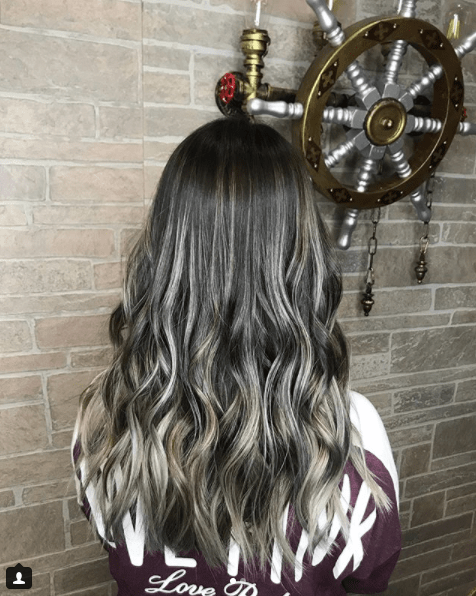 10 Wavy Hairstyles You can Try! 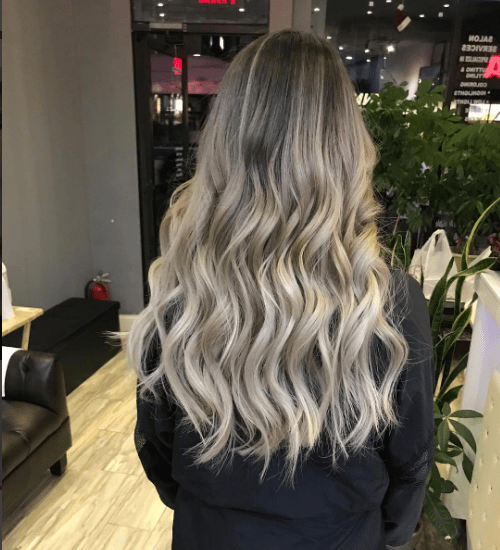 Ash blonde is not an easy blonde to achieve, but with the right tools, toner and stylist, you can achieve ash blonde in so many different ways. 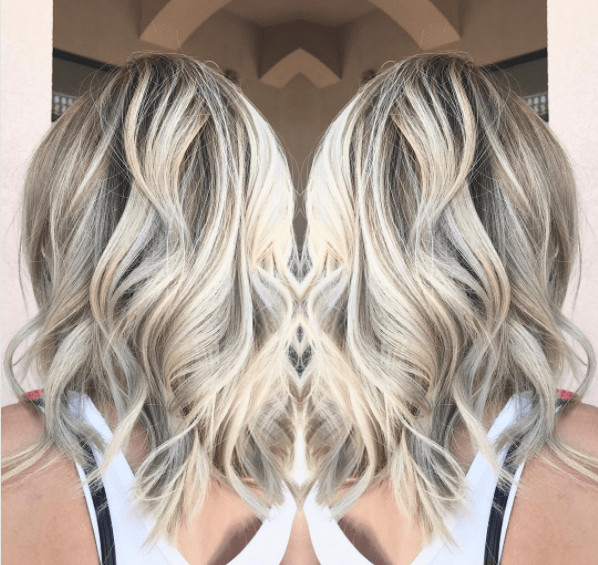 Would you prefer ash blonde as a base, highlights, or even in an ombre style? The possibilities are endless. Check out the 16 ideas we conjured up for you. This model’s hair is a mix of silver and dim grey. 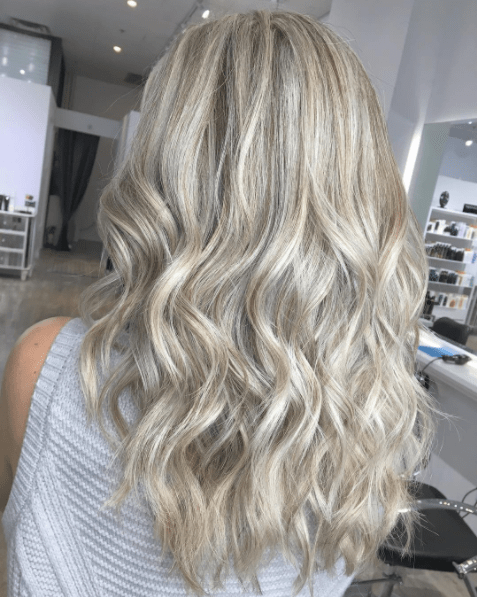 In order to achieve grey hair, you must bleach your hair to a light blonde. 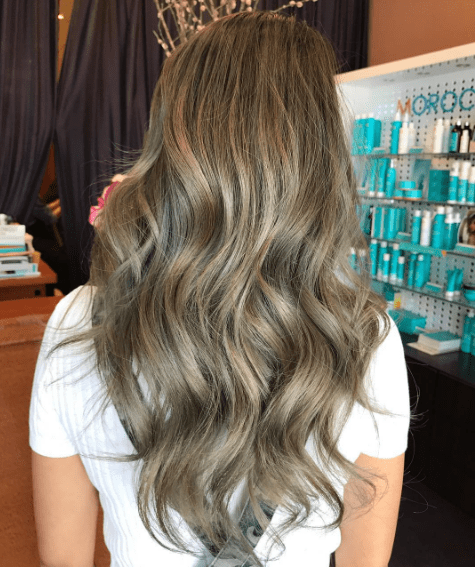 Once grey hair dye is applied to light blonde hair, voila, you now have grey hair. 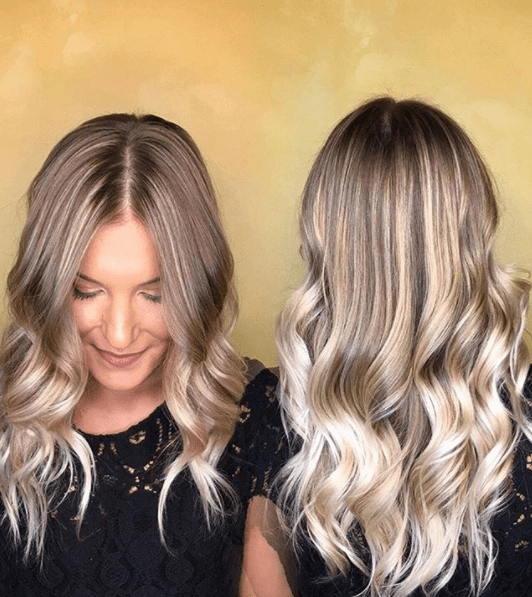 Ash blonde is on the crown of the head which flows through the curls of the model’s hair from silver highlights to a silver base on the ends. If you’d like to achieve these curls, try using a three or four inch wand. 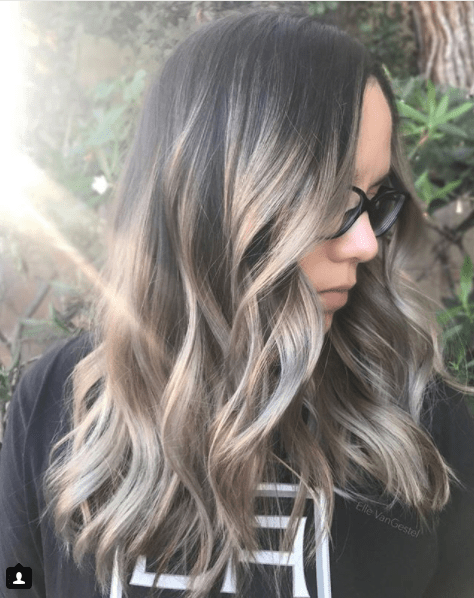 Golden brown color with light specs of blonde and ash are incorporated throughout. With the right toner, this look is easily achievable. This model asked her stylist to give her medium-length hair a number of things to her. 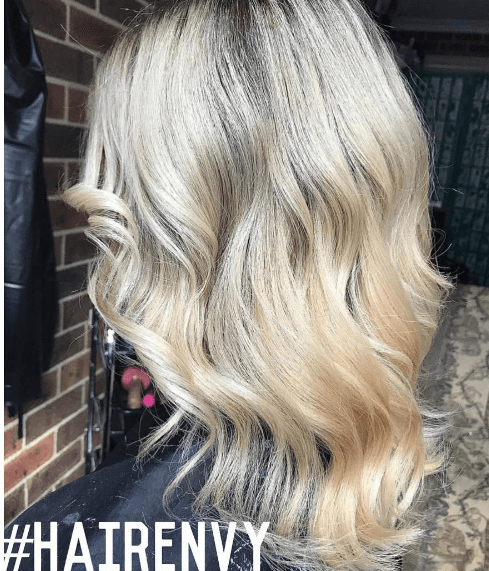 For one, she kept her roots her natural dark color, she faded to a platinum blonde, just to boost the ends back to a light blonde. A mix of dark and light grey, the long hair on this model must have went through a lengthy process with her stylist. The multitude of grey gives this model’s hair the edgy look most try to achieve. Super platinum, practically white, this model went through several stages in order to reach the level of evenness she is at now. Impressive. There is a slight undertone of blue that contrasts with her dark roots. 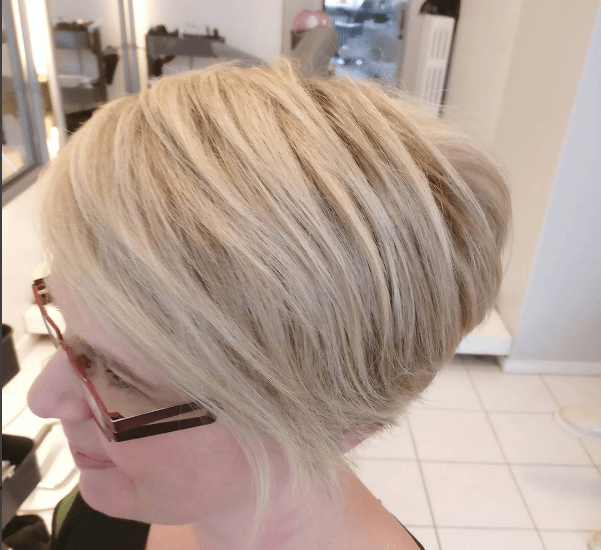 This bob hairstyle was styled to the left of the client’s face. More so a sold blonde in the front, there is a dirty blonde base in the back of the model’s hair. 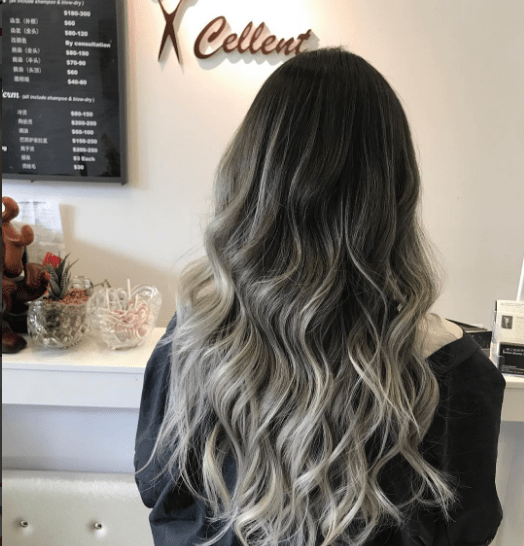 Nothing like a classic ombre. To go from jet black hair, several lightening steps need to be appointed. The gradual transition fades from a dark silver to a light ash. Job well done. When the lighting is right, this new set of color will glisten bright. Another ombre for the books. 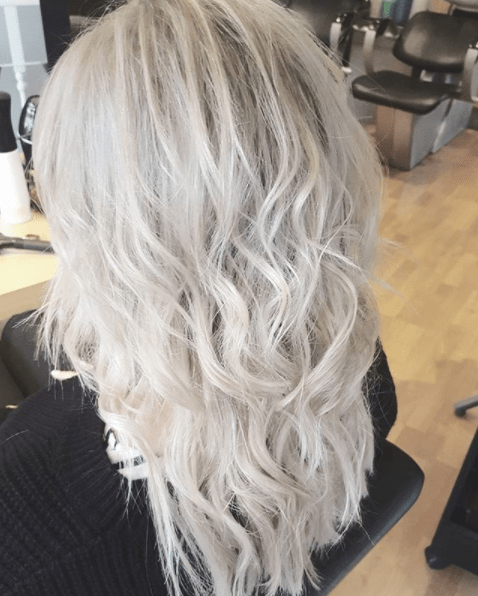 The dark brown roots beautifully lighten to an light blonde, with an overall ash tone to the look. 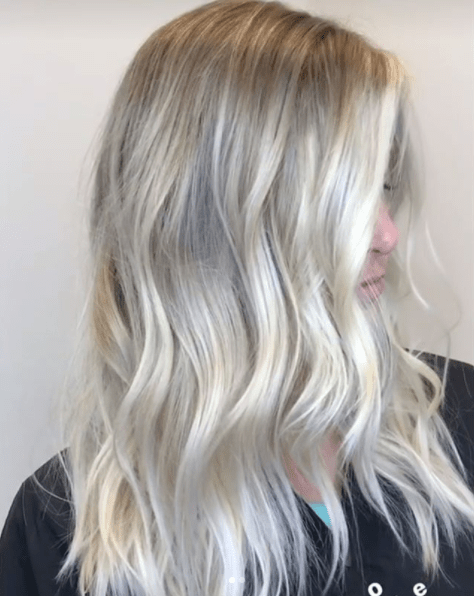 With just a few streaks of blonde, the dark base is overlooked by the beautiful, even applications of blonde that took this entire look to a different level. The dark chocolate hair of this model had a stylist throw in some very light blonde highlights with what looks like a light touch. The thinnest of streaks were applied and this look is outstanding. 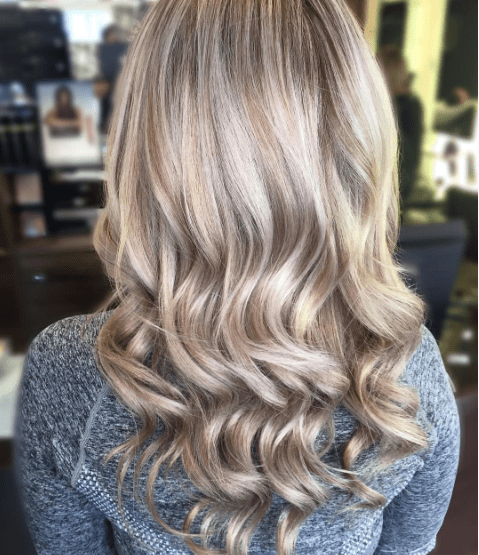 The ends have been applied more of a blonde, and the curls complete the look making it look naturally wavy. Woah baby, check out the hair of this model right here. Not only are her curls sitting pretty, but the color of this entire look is just impressive. The evenness, the right tone, and the shine make it spectacular. 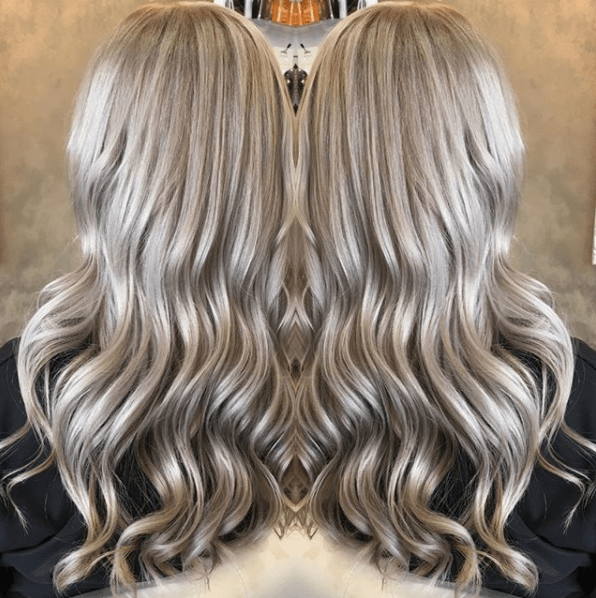 Ash brown on the crown, the head of hair transforms to a silver, with a touch of blonde, and a sprinkle of platinum. We can not get enough of this look! The glasses on this model go with her hair and makes her entire look a studious glam esthetic. The ashiness of her ombre end is the finish of the dark-rooted crown she originally started with. Holy white. Total Khaleesi vibes from Game Of Thrones, her long locks of white are so bright and shiny as contrasted with the ash of her light brown natural hair color. The natural toffee color of the model in this picture was highlighted with light stroke of creamy blonde. With the highlights starting just a few inches away from her scalp, they eventually cover her ends completely, which you can see in the angle on the right. 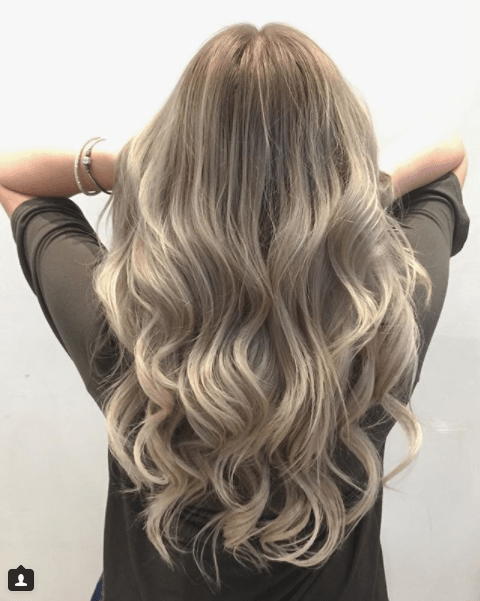 This greyish-white color can be damaging to a person’s hair if the correct steps aren’t taken, but if so, your hair can look just like the hair of this model, or even better. 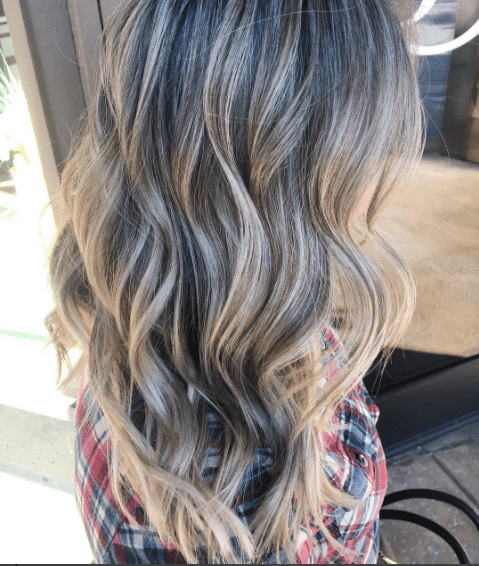 The color change from such dark roots to such light ends is drastic, but not impossible. © 2019 Hair Highlights Ideas.